Here we are right on the edge of the Ipswich urban area, but this church appears to have a village setting, looking out across the fields. Rushmere is rather a genteel suburb, with big houses set back from the street and a large duck pond, quite unlike busy Kesgrave with its Anglican and Catholic churches to the south. From the look of it, you wouldn't think that St Andrew serves an Anglican parish of more than 10,000 people. Most of the people in the parish are in the housing estates of north-east Ipswich, but despite its rural setting this building is fully equipped to serve them, as we will see inside. There was a rather dull, though necessary, 19th century rebuilding here; only the late medieval tower and Norman south doorway are old. Local architect Edward Hakewill's work was something of an emergency, a result of the strain placed on the walls by Perpendicular windows at the time the tower was built. Hakewill's work is notorious in Suffolk for its dour, dark interiors and low north aisles. 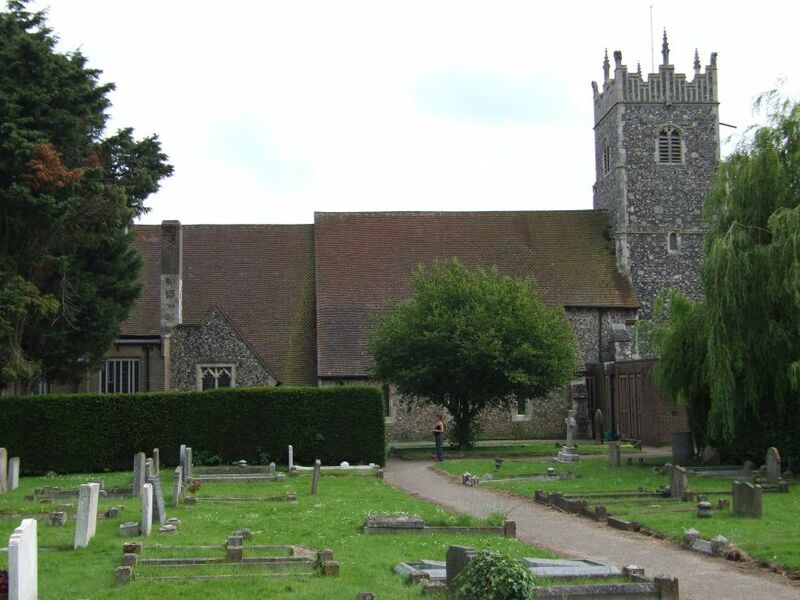 In fact, Rushmere was Hakewill's home parish, so he pulled a few more of the stops out here; and in any case, things have happened since Hakewill's day. 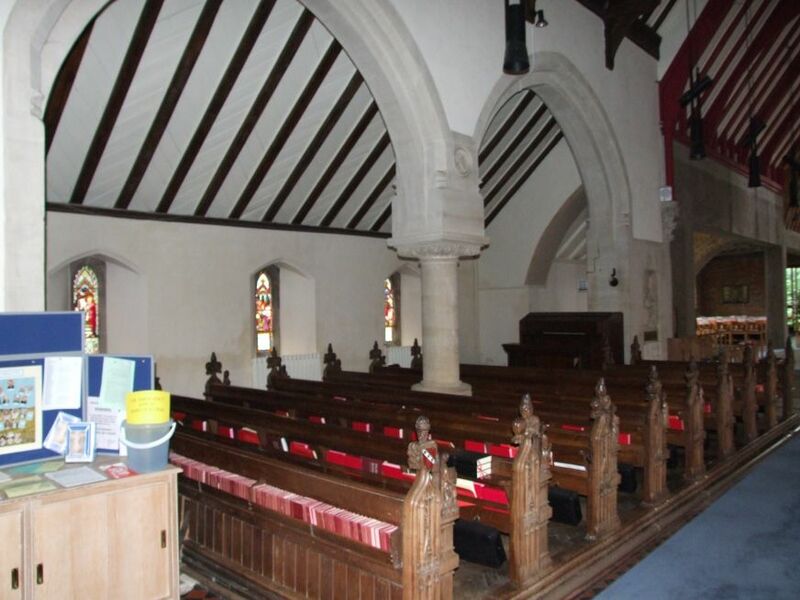 The first sign of this as you approach is the large parish hall to the east of the graveyard, apparently abutting the chancel. A circumnavigation of the church reveals a rather alarming 1930s vestry at the west end of the north aisle (since converted into toilet and kitchen facilities), the large municipal cemetery behind, and a great array of roofs eastward, showing that something extraordinary has happened here. Almost incidentally in the midst of this is a high-roofed Victorian building. Hakewill's rebuilding was in 1861, in his familiar Early English style. You step through the south doorway into dimness even on a bright day. 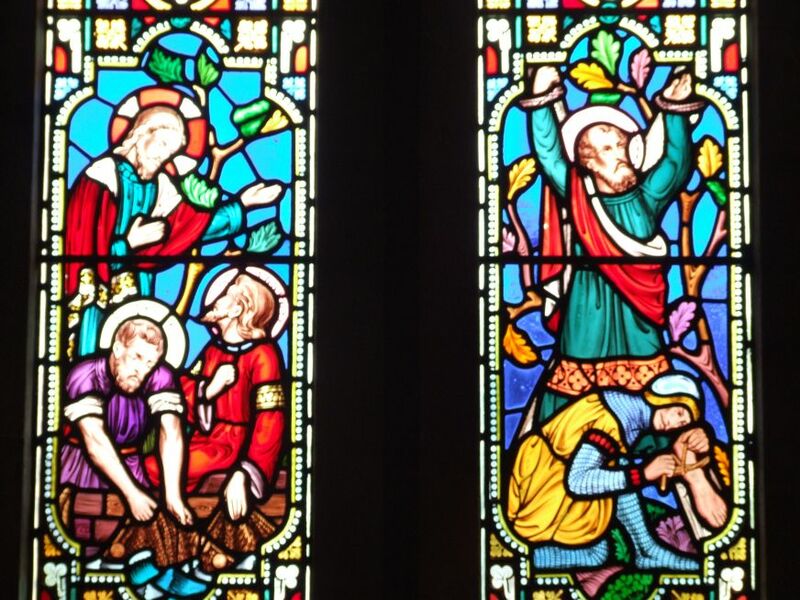 A low, dark north aisle is the setting for jewel-like glass, mainly of Old Testament scenes. 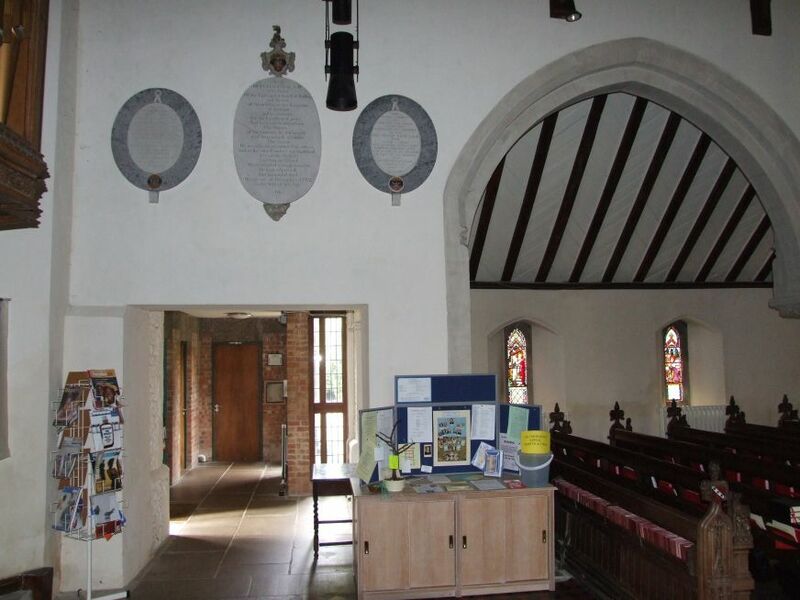 There are more in the nave south wall. There is an almost lapidary feel to them in the darkness, and they lead the eye through the gloom to the surprise of the east end. 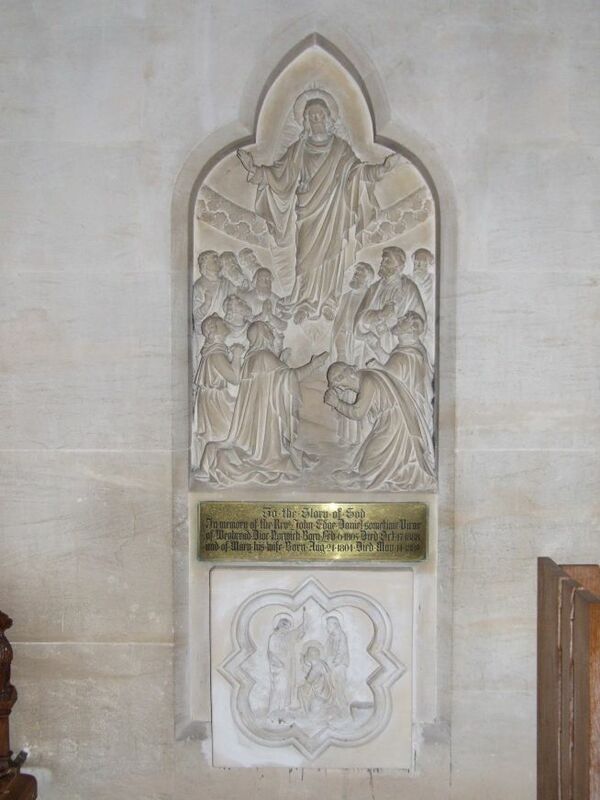 In Hakewill's day there was a stone screen, which must have been terribly claustrophobic. 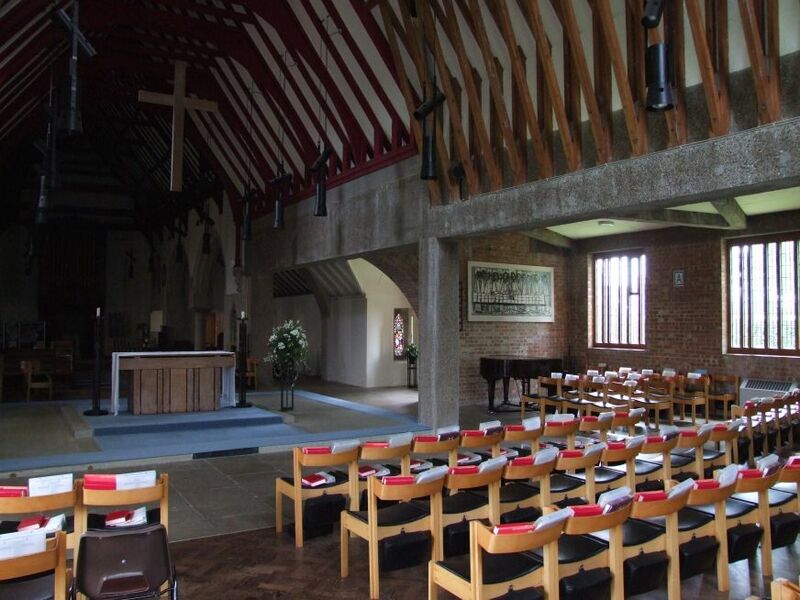 But that has now gone, and beyond the altar is the magnificent 1968 extension, the first of its kind in Suffolk, by George Pace, who rebuilt Llandaff Cathedral. 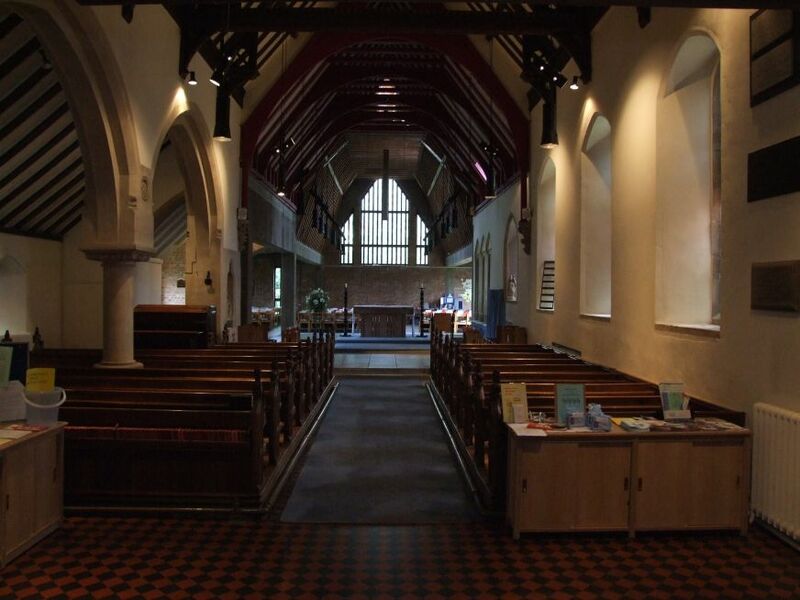 The church opens out into a wide, light square space, with chairs turned to face the altar from the east and north. The windows are high, narrowly panelled with pine in the scandinavian manner, with rugged concrete beams and undressed brickwork. 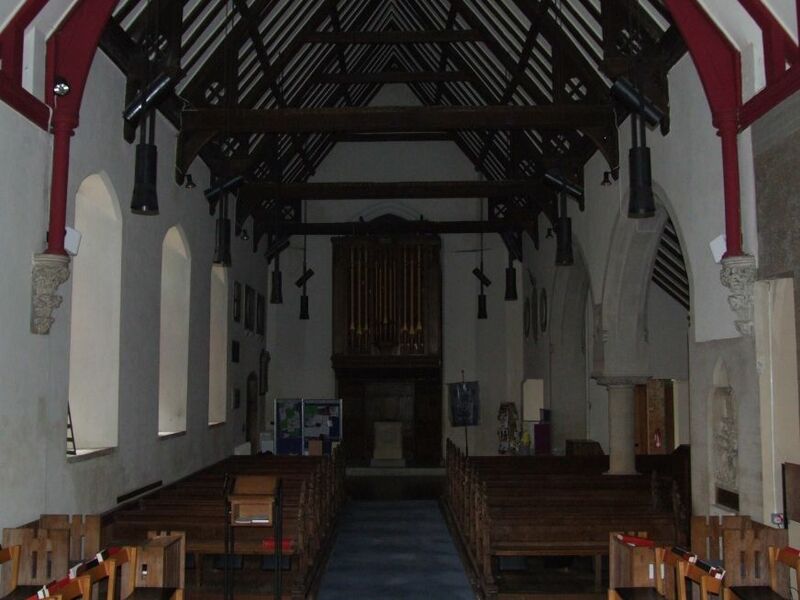 The space opens upwards as well, echoing the 19th century crossbeam roof of the former nave. It is all thrillingly modern, even at a distance of forty years. 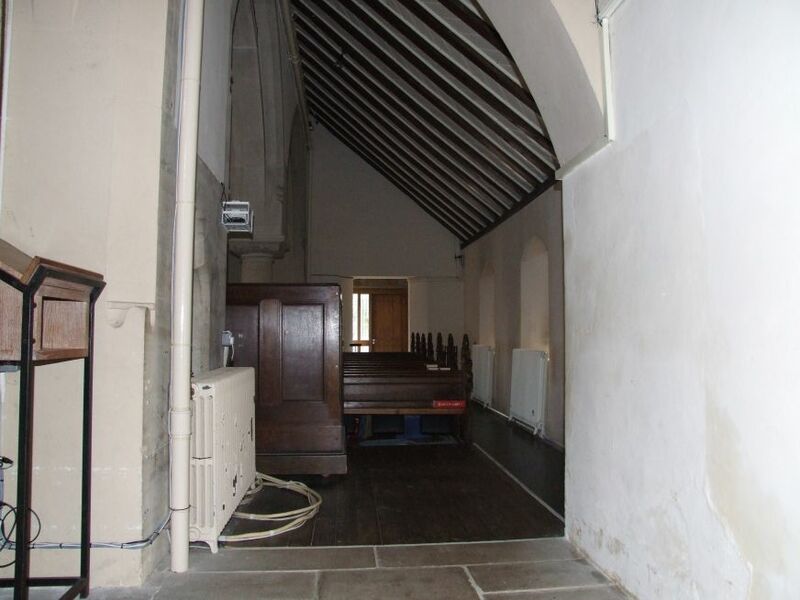 The potentially awkward space at the east end of the north aisle is successfully managed with a brick half-arch, and a piano sits beyond it, as though on holiday from Kettles Yard or Snape Maltings. The archway allows borrowed light to enter the otherwise dim north aisle. 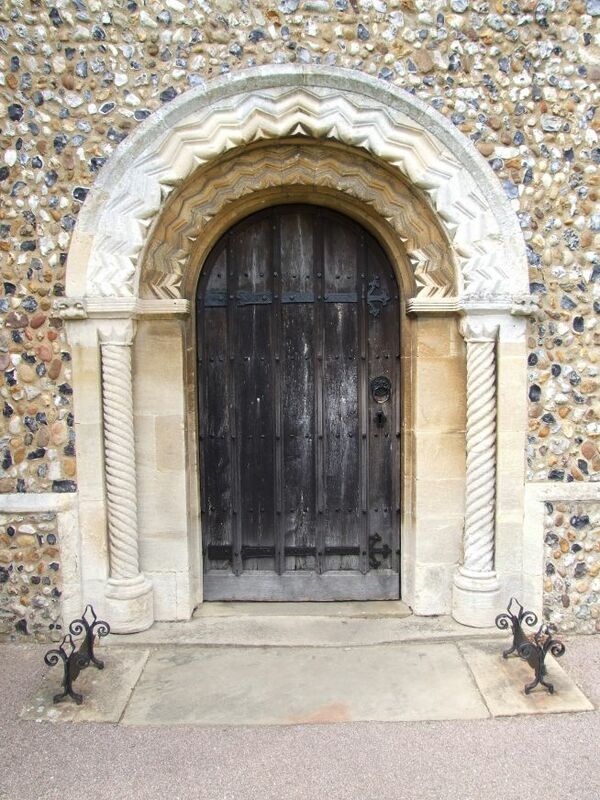 The windows on this side echo the high east window, narrowly panelled in pine. 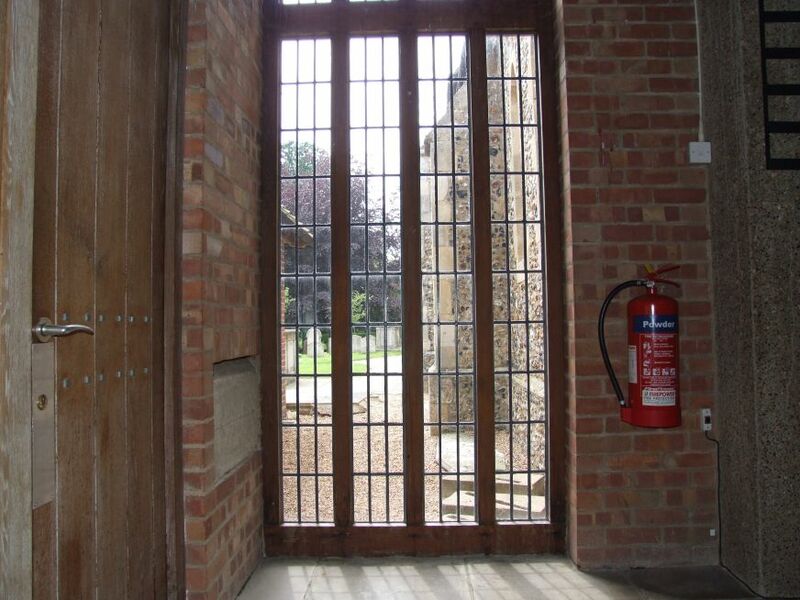 On the south side, a doorway leads into the parish hall complex.Large tiles pave the extension and central sanctuary. Above, a 1960s dormer window echoes the medieval one at Ipswich St Nicholas, coincidentally another Hakewill restoration. The use of concrete, brick and wood is reminscent of Basil Spence's work at Sussex University - all that is missing is the ripple of reflected water. 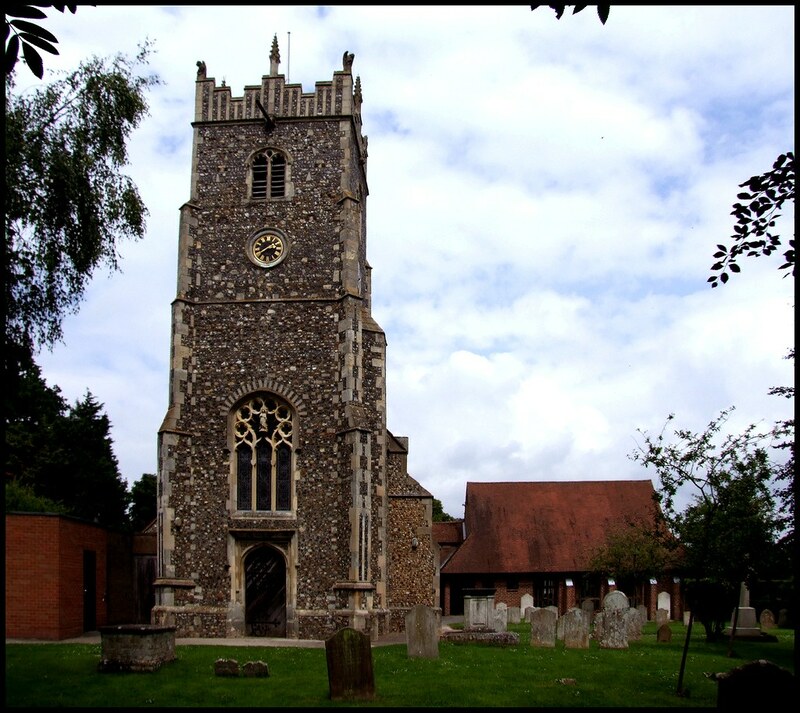 This is one of the most exciting and interesting enlargements of a medieval parish church in Suffolk - another is a mile away at Kesgrave All Saints. 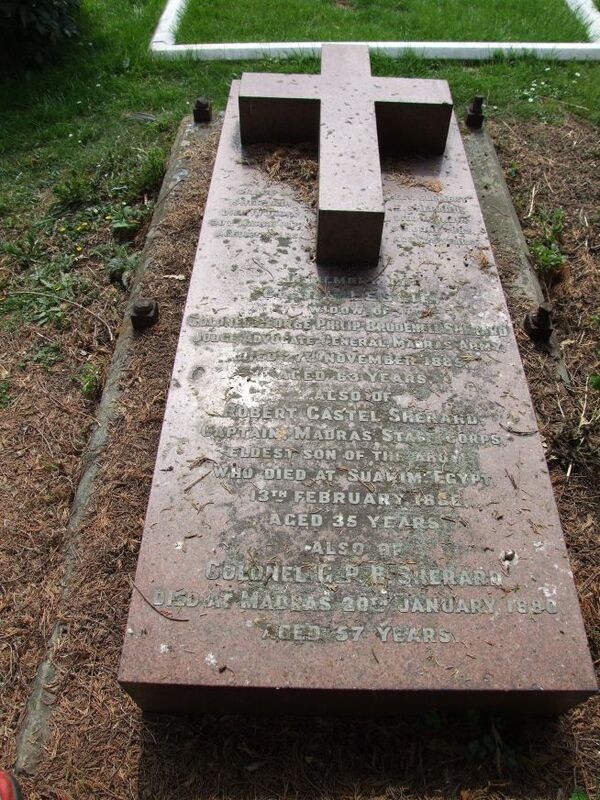 It is still possible to find a number of interesting Victorian details, and the loving care with which they were executed reminds us that this was Hakewill's parish church; the sedilia windows are his memorial. 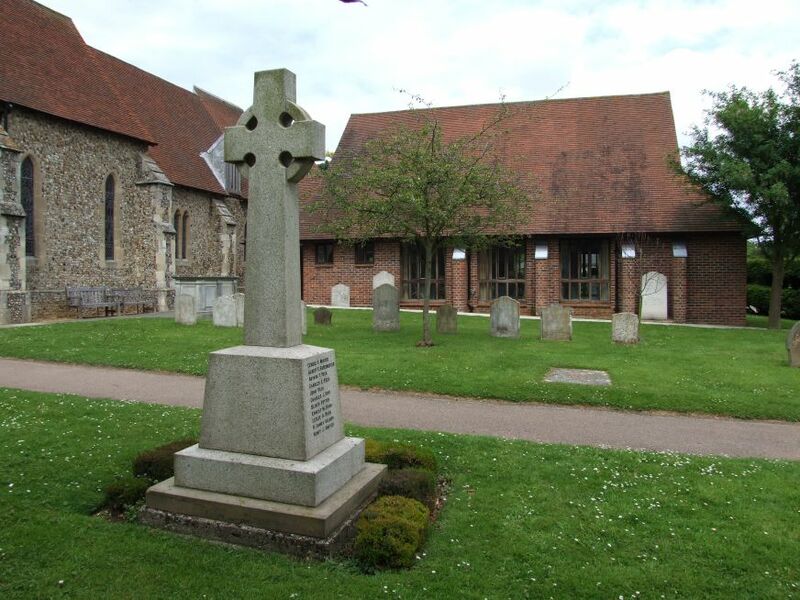 Set behind his alarming mock-Norman font (to go with the south doorway, presumably) is the parish war memorial. The woodwork east of here is Hakewills, a contrast with the modern chairs in Pace's extension. Pace was an architect, but he was also a designer. 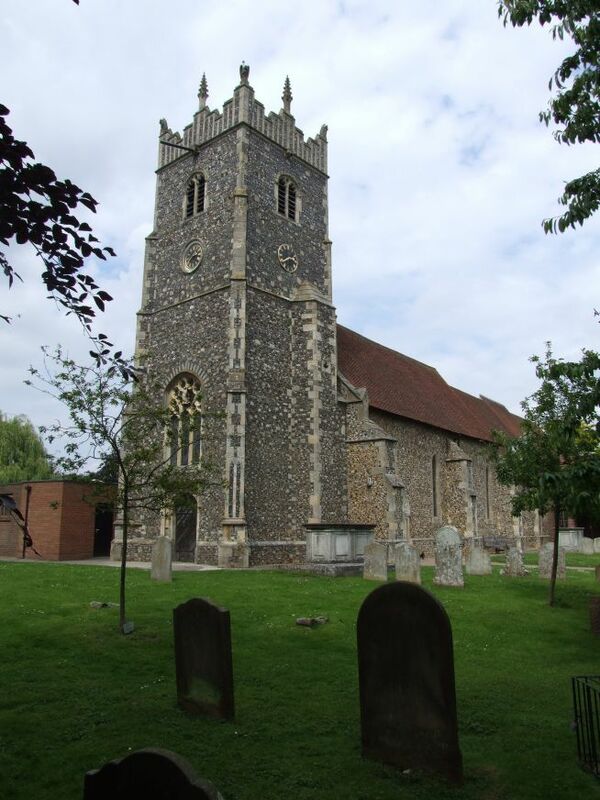 He was responsible for the refurbishment of St John the Baptist in Cauldwell Hall Road, the adjacent parish, in the 1960s. Here at Rushmere, many of his simple wrought-iron furnishings survive: flower stands, candlesticks, even an elegant black metal hymn board. This is a church to leave thrilled, by a juxtaposition of light and dark, between Victorian sentiment and modernist rationalism. This is a space worth seeing.